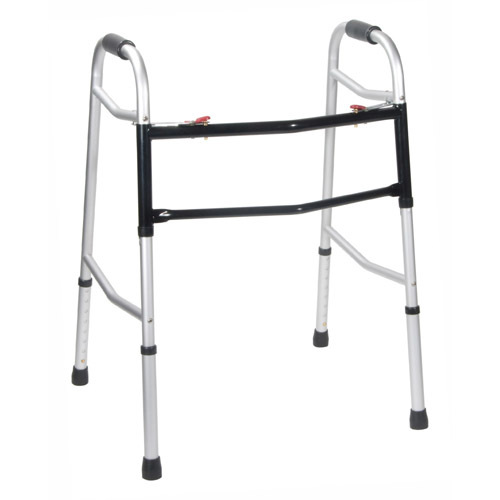 Bariatric, Extra Wide and Deeper Frame, Folding Walker, Two Button. * For Bariatric use. * Precision design provides additional strength while adding minimal weight. * Wider and deeper frame design accommodates individuals up to 700 lbs. * Easy push-button mechanisms may be operated by fingers, palms or side of hand. * Each side operates independently to allow easy movement through narrow spaces and greater stability while standing. * Heavy-duty vinyl-contoured hand grip.